Asiatic Society of Bangladesh, 2007. Encyclopedia of Flora and Fauna of Bangladesh, Vol 23: Freshwater Fishes, Asiatic Society of Bangladesh. xxxi+300 pp. Asiatic Society of Bangladesh, 2009. Encyclopedia of Flora and Fauna of Bangladesh, Vol 24: Marine Fishes, Asiatic Society of Bangladesh. xxxx+485 pp. Craig, J. F.; Halls, A. S.; Barr J. J. F. and Bean, C. W.; 2004. The Bangladesh floodplain fisheries, Fisheries Research, Vol. 66, Issues 2-3, pages 271-286. Galib, S. M. and Samad, M. A.; 2009. Harvesting, traditional preservation and marketing pf fishes of Chalan beel, Bangladesh. Aquaculture Asia, XIV(1). Galib, SM and Mohsin, ABM. ; 2011. Cultured and Ornamental Exotic Fishes of Bangladesh: Past and Present. LAP LAMBERT Academic Publishing. 176 pp. Islam, M.S. and Hossain, M.A. ; 1983. An account of the fishes of the Padma river near Rajshahi. Raj. Fish. Bull, 1(2):1-31. IUCN Bangladesh, 2000. 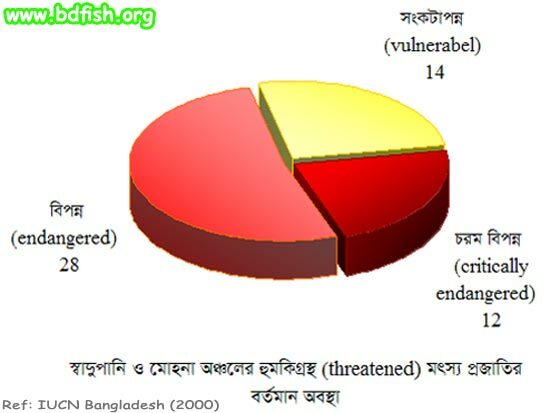 Red book of threatened fishes of Bangladesh, IUCN- The world conservation union. xii+116 pp. Rahman, A. K. A.;, 2005. 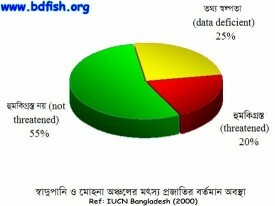 Freshwater Fishes of Bangladesh. 2nd Edition. Zoological Society of Bangladesh,. Dhaka. xviii + 394p. Rahman, MK and Akhter, JN; 2009. Ichthyodiversity in the Rivers And Estuaries of Khulna Division, Bangladesh. J. Taxon. Biodiv. Res. Vol. 3, pages 19 – 27. Visited 1,179 times, 1 visits today | Have any fisheries relevant question?